The easiest way to measure the success of our internship program is to walk around the office. More than half of our client-facing staff came to Greentarget as interns, including several members of our senior leadership team. We’ve always viewed the program as our most powerful recruiting and hiring tool – it allows young professionals to experience our culture and lets us see what they can do. Greentarget interns are responsible for real work. They receive the same training as new associates, listen in on client calls and participate in our professional-development and awards programs. They’re as likely to work on a project with a vice president, or even a founder, as a junior associate, and the tasks they’re given require critical thinking and fresh ideas. “Greentarget doesn’t send you to get coffee, they send you to call the editorial staff from top publications and pitch reporters on national television,” one former intern told us. Because we trust them with important duties, we look for the same qualities in our interns that we value across the entire team: curiosity, attention to detail, writing and communications skills and the confidence speak up when we inevitably ask what they think. As part of our internship program, each intern spends time researching a significant communications challenge that they’re passionate about and develops a comprehensive public relations strategy to address that challenge. 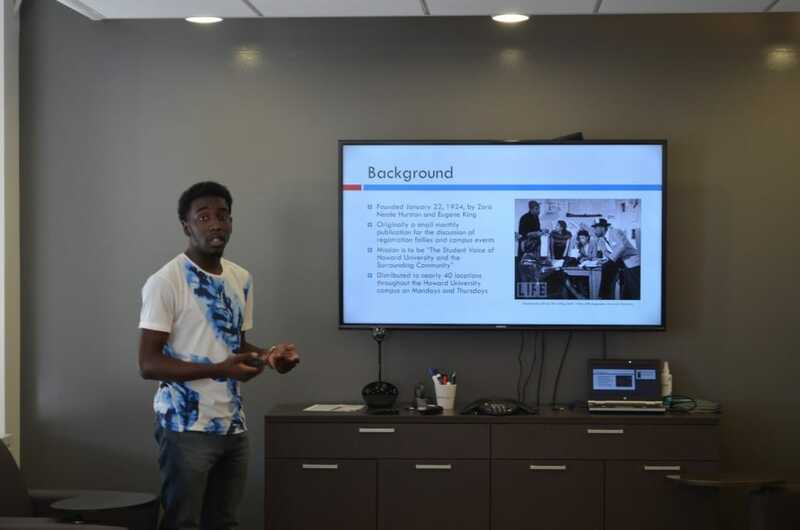 The internship culminates with a presentation of his/her campaign, typically sparking conversation among the Greentarget team and occasionally leading to new pro bono clients. To apply for an internship with Greentarget, please email your resume and cover letter to internships@greentarget.com.